Hi! My name is Sophie and I’ve been exploring the world since 2009. Over the last ten years I’ve used every ounce of my free time to jet off to new places and experience something exciting! My travels have taken me all around the world working in various places from ‘the happiest place on earth’, surrounded by swarms of people at Walt Disney World in Florida, to the middle of Outback Australia at a secluded roadhouse. 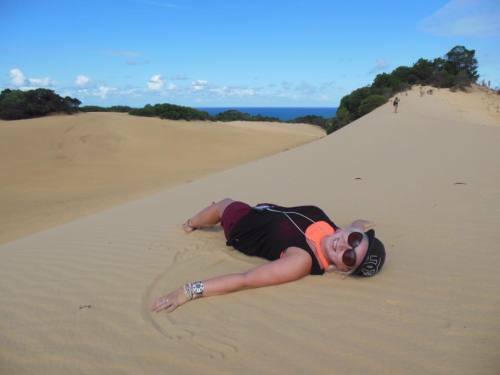 I’ve bob-sleighed in Latvia, trekked through forests in Singapore & Cambodia, ate scorpions in Bangkok, snorkelled the Great Barrier Reef, kayaked besides beavers at night in the Baltics, couch-surfed with strangers in Sydney, taught children English in Indonesia, fed elephants in Thailand, taken selfies with kangaroos and wallabies, walked a half-marathon through the streets of London at midnight, caught the sunrise at moon parties on Koh Phangan Nan, rode the commuter trains in Mumbai and been caught in three hurricanes but lived to tell the tale. All whilst travelling solo. Ready to read my story?